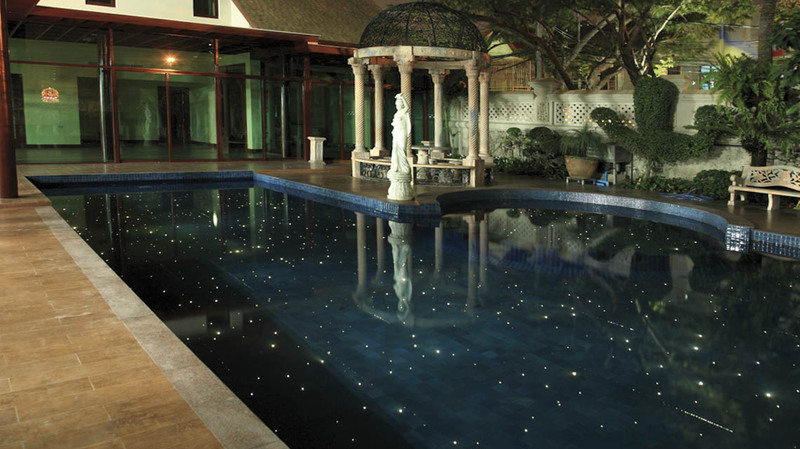 For this residential pool, lighting designer Atch Kosiyabong, proposed not only a the state-of-the-art starry sky with Advanced’s fiber optics, but a series of shooting stars traversing zones of the pool. The result is awe-inspiring. At night, swimming in pools so equipped resembles moving through space for a breathtaking experience. High performance HCF201*, 1mm Toray low-attenuation fiber optics, clad with polyolefin HFFR powered by MDI105 series, 150W discharge illuminators, with 4000º K ceramic metal halide lamps and motorized starry sky effects disk.